Meet Peggy Perkins. 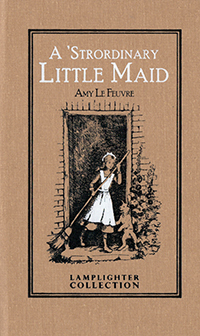 This peculiar maid will delight you with her extraordinary ability to share the gospel. Encounter the good news in bold and often humorous color, as Peggy embraces her mission to send everyone she meets to the only Physician who can cure sick hearts. You will laugh and cry along with Peggy as she grows in her faith through the mishaps and mayhem of daily life. Her tenacious courage intrigues people from all walks of life, and her faithfulness invites them to experience the joy of the ’strordinary God she serves! Step into this poignant tale and be refreshed with the power and simplicity of life-changing truths. 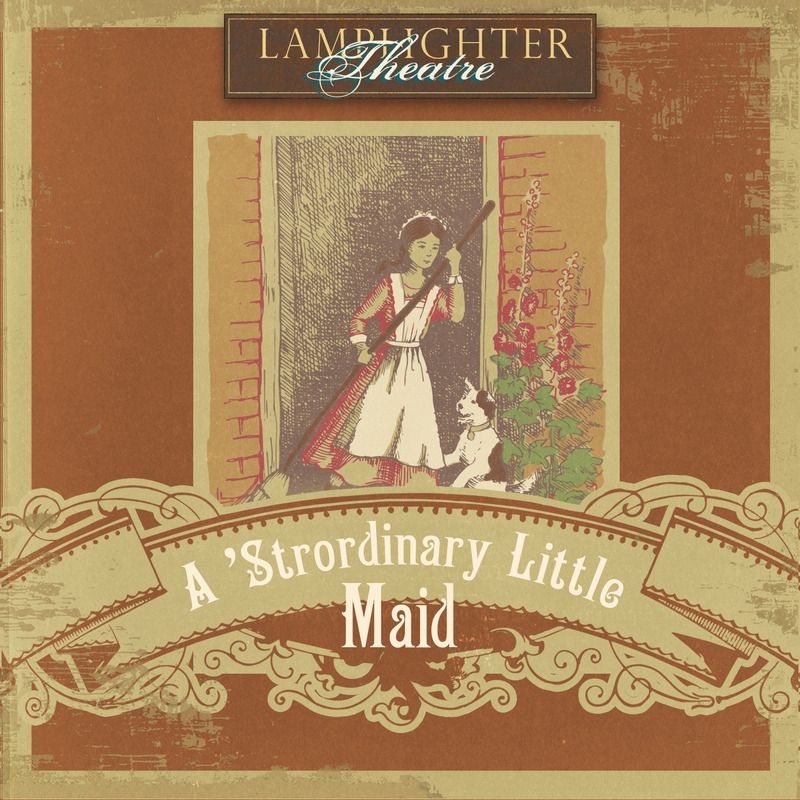 A ’Strordinary Little Maid will leave you with fresh inspiration to share the love of Christ wherever you go! This was an excellent story of a little girl finding her way to God. She had struggles and hurts but through her perseverance she learned so much and most important her love for her Savior! This is definitely one of our favorites! From Anonymous of Blanchard, Idaho on 1/1/2019 . We all loved this audio. I found myself laughing out loud so many times over how she just seemed to always talk. This was a sweet story of encouragement and a reminder how our very home is a mission field. From Joy Lonon of Marion, North Carolina on 12/20/2018 . While this is not our fav audio (Teddy's Button hard to beat), it has many great & memorable messages especially towards the end. I loved how she has the courage to tell her cruel auntie to sing a new song & Jesus will help heal her heart (even if He doesn't heal her body in this lifetime). This can speak to all of us. My heart has been more joyful after listening to this. From Charity King of Clarksville, Tennessee on 2/5/2018 . All 3 of my children (ages 12, 7 and 5) love this story! It's so sweet and encourages all of us to love better, sharing the gospel with everyone!